Taking charge of living life naturally could be as easy as taking a deep breath. We're talking about essential oils and their benefits. Pure essential oils have three distinct modes of action within the human body: Psychological, Physiological, and Pharmacological. Essential oils are obtained primarily from steam distillation. They can enter our body because they are composed of natural chemicals that are fat soluble; they can enter the cellular structure, and are further metabolized by the body. Therapeutic essential oils provide natural, gentle relief for different conditions, and provide additional health and wellness benefits. So, what is an Essential Oil? Historically, plants and their extracts have been used to relieve pain, aid healing, kill germs, and sustain healthy well being. Essential oils are the distilled extracts of plants and have been used medicinally for hundreds of years. 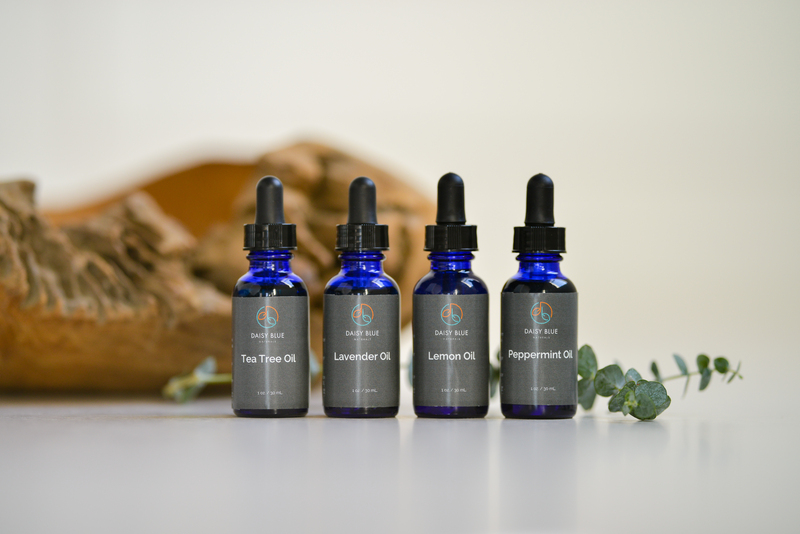 Essential oils can enter the body in 3 different ways – applied to the skin, inhaled, or ingested. Follow the guidelines given for each particular essential oil. For example, you can make a compress with a few drops of oil to apply it to the skin, add a few drops to an aromatherapy diffuser to inhale, or mix with a natural vegetable oil and rub into skin. Essential oils are potent and need to be treated with respect. Unless you’re a chemist or registered aromatherapist, seek advice on usage, know and trust the essential oil manufacturer, and always read the labels! This oil is obtained from the leaves of the Melaleuca tree in Australia. It is anti-bacterial, anti-fungal, anti-microbial; good to treat warts, acne, cold sores, mouth sores, infections, and cuts. It also protects skin during radiation. Our peppermint oil is medicinal and cosmetic grade. It is obtained from mint leaves sourced from both US and China. A known stimulant, it counters fatigue and exhaustion, and can help to decrease headaches and migraines, nausea, sinus pressure, and indigestion. It is anti-bacterial and can be used as a deodorant and it can also be used to relieve itching of the skin. Please use in moderation. Our lavender oil is both medicinal and cosmetic grade. It is obtained from lavender in Bulgaria, and other parts of Europe. This oil is the most universal and safest to use. It is good for all skin types and ages. Lavender oil is also a great healer, reduces stress, can be used as a bug spray, calms, and can help heal rashes and burns. Daisy Blue lemon oil is distilled and grown in USA. It is rich in Vitamin C. This oil is uplifting, astringent, and deodorizing. It is also a powerful antioxidant, and brings a sense of warmth. This oil features the precious blue crystal, azulene, which is a powerful anti-inflammatory agent. This oil is great for allergies and hay fever and inflammations of the skin. It also is great for calming emotions. This oil is native to Australia ,and is used to strengthen the immune system. It is great for fighting off cold symptoms and stimulating white cell production. It helps with sinus congestion and coughs, muscle aches, and also helps improve circulation. It takes hundreds of tons of a flower or plant part to produce only 1 oz. of certain essential oils. Aromatherapy involves the use of essential oils, but essential oils are more than aromatherapy. Essential oils have been used effectively for MANY more years than conventional medicines. Essential oils are not ‘greasy’ or oily. They are called ‘oils’ because they contain the oil-soluble part of the plant. Plants use their own essential oils to help with infections, humidity control, attracting and repelling insects and birds!